Current software constitutes modifications and extensions to XROTOR and DFDC, both by Prof. Mark Drela of MIT and Harold Youngren of Aerocraft Inc. Packages for Unix/Linux, Win32 and Mac OS X are posted under the GPL. The esBlade SolidWorks macro is proprietary. The ESBLADE Lofting System automates the lofting of blade designs in SolidWorks from loft data generated by ESLOFT in CROTOR or DFDC-ES, thus removing a bottleneck in the design and development of propulsors and turbines. 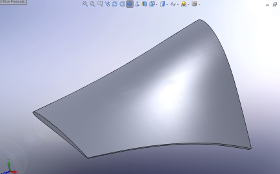 ESBLADE consists of a file format and a SolidWorks macro. Available for download under the GPL. 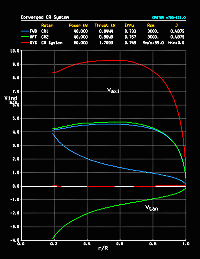 DFDC is a unique Ducted Fan Design Code. This version fixes many bugs in DFDC v0.70 while adding a variety of enhancements. Version ES2 introduced ESLOFT, a unique facility for lofting rotor and stator blades. Version ES3 introduces a blade blockage correction model along with many other enhancements. 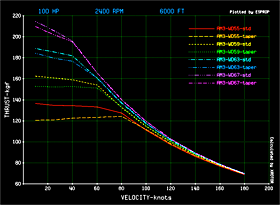 ESPROP forms part of a unique parametric analysis system for variable pitch and constant speed propellers. Several propellers can be directly compared across a wide range of operating conditions. 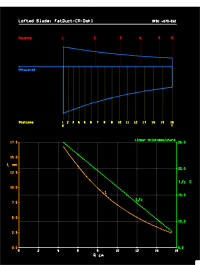 Both numeric and plot output are supported. ESPROP and a sample database are available for download under the GPL.